Sow new seeds yesterday, Celery and Chives I use a small plastic meshed tray. 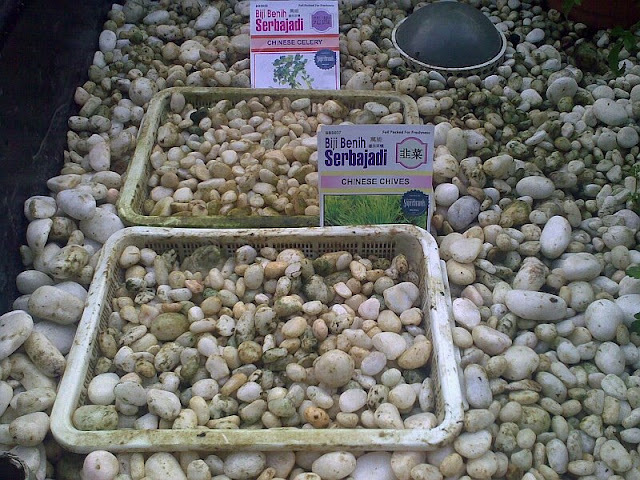 I should have use smaller pebbles sowing seeds, they mignt get washed down and not germinate. 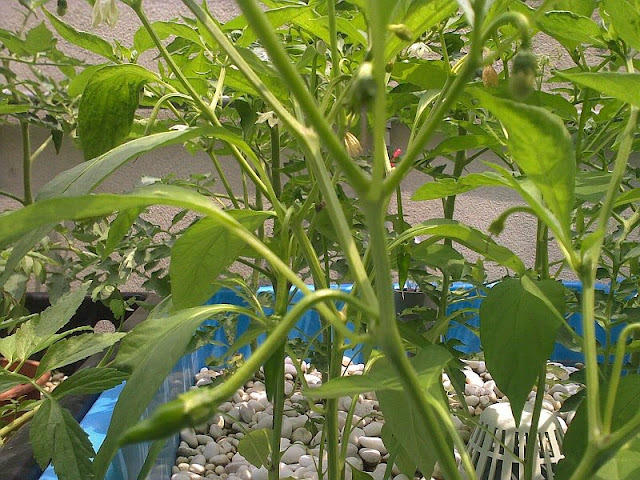 Chillies forming after flowering and looks good. Yellowing of leaves are not that significant. Looks like that rusty nails do it job. Tomatoes flowering and yet to form any. The plants are recovering, few tomato plant I have to remove due not doing well. I expected this and I transplant more then required, the removed plants are just surplus. New Fern (what do they call this) coming out and they are everywhere. 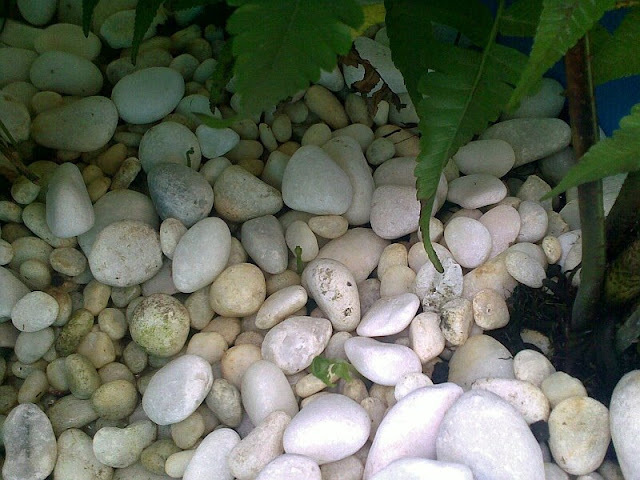 This is a good sign, my intention is to propagate these fern and plant them on the upper part of my perimeter wall. 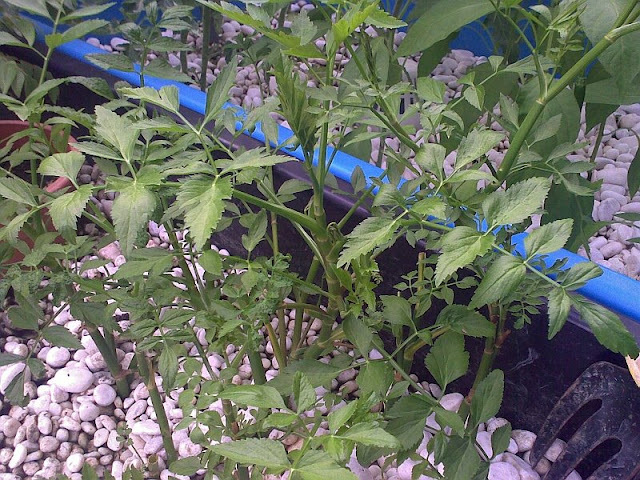 Selom (water celery) above was planted from cuttings last week and now show sign of growth. I ate them raw as a salad and for own consumption they will be more then enough, these are fast grower.